Tools for enterprise CIO and IT Managers - DRP Template - IT job Descriptions Infrastructure Policies - IT Governance - Tools for the CIO and IT Managers. 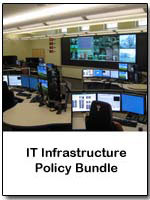 BCP and DRP Template, IT Job Descriptions, Policies, and Cyber Security Manual are delivered electrronically. 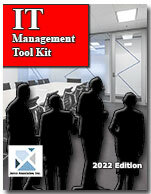 This site contains tools for managing Information Technology computing. Included are Disaster Recovery Planning, Business Continuity, IT Salary Survey, Job Descriptions, Infrastructure and other tools that the Chief Information Officer - CIO, Chief Technology Officer - CTO, Chief Security Officer - CSO, and Chief Financial Officer - CFO can use. 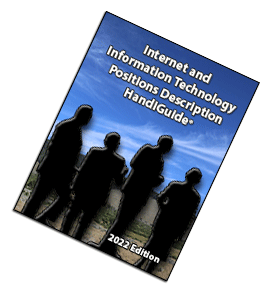 There are now 300 IT Job Descriptions available that that have been updated to meet the latest compliance and new technology requirements. The HandiGuide can be acquired in MS WORD and / or PDF format. In addition we provide the option to get updates and free custom job descriptions. Chapter on Identity Protection and what enterprises need to do to protect their users. 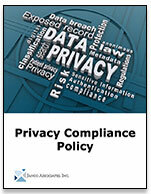 25 electronic forms that support mandated compliance requirements. 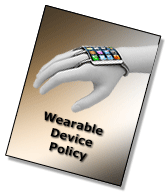 Managing the increase of mobile computing enterprises has created a need to have a set of policies and procedures to govern the use of mobile devices. The lastest addition of the Mobility Policy bundle has been completely updated to meet the latest security and compliance requirements. Chief Mobility Officer job description. Janco has just released its IT Infrastructure Architecture with the ability to get updates to all of its components for 24 months from the date of its purchase. Necessary for certification of compliance. 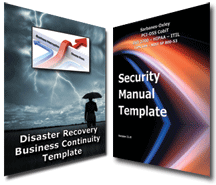 The version of the the Disaster Recovery Business Continuity and Security Manual Templates are now available. Both of these World Class documents have been combined into a single package to provide your organization with the complete solution to business continuity and security compliance. They come with electronic forms that are easily modifiable to meet your specific unique requirements. Both of these templates are the products of choice by 4,000 enterprises in over 100 counties. With the ongoing update service they are the must have winning solution you have been looking for. 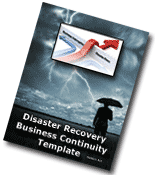 Disaster Recovery Plan Template, DRP Template, and DRP Sample. 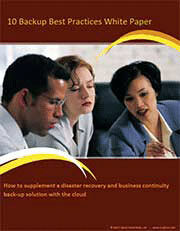 Besides all the great information included in the Disaster Planning e-book, a PDF version of our Disaster Recovery Planning Template and MS WORD version of the template provide a variety of unique, hands-on planning resources to help ensure your organization's disaster readiness as no other product on the market can. So do not delay—order Janco's Disaster Recovery Business Continuity Template today! Janco has just released a white Paper that defining the 10 Backup Best Practices. 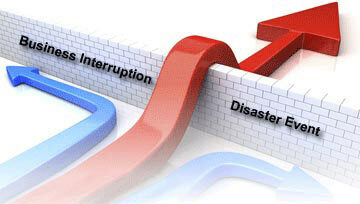 It defines how to supplement a disaster recovery and business continuity back-up solution with the cloud. A copy of this key document is available to members of Janco's social network. To join and get a copy of this white paper register here. The policies have just been updated to comply with all mandated requirements and include electronic forms that can be Emailed, filled out completely on the computer, routed and stored electronically -- a total solution. We have just completed a major update of most of the individual polices and almost all of the electronic forms. To see a full list of the forms go to Infrastructure Electronic Forms. Security includes not only the protection of confidential and sensitive information. It also protects the privacy of those who access that information.